Caster sugar is the British food term for very fine granulated sugar. You may see it in British recipes as It is valued by bakers and cooks for making meringues, custards, candies, mousses, and baked goods. It also dissolves quickly in beverages. In U.S. stores, caster sugar is usually sold under the name superfine sugar. An alternate spelling, as shown in the Merriam-Webster Dictionary, is castor sugar. It is also sometimes referred to as baking sugar or casting sugar. Caster sugar is not the same as ​powdered sugar. Although caster sugar is very fine, it retains the rough texture of sugar. Its consistency is between granulated and powdered. Caster (superfine) sugar melts faster and incorporates into sauces, puddings, and bases more quickly than regular granulated sugar. If your recipe calls for caster sugar, you can use regular sugar but the result may be grainy. Because caster sugar crystals are so fine, they dissolve quickly, making the sugar particularly suitable for sweetening cold drinks or cocktails. While you can find caster sugar easily in U.K. markets, you may have to go to a specialty market in the U.S. to find it. Be aware that caster sugar costs quite a bit more than granulated sugar. If your local market doesn't carry caster sugar and you don't want to make it yourself, you can buy it online. India Tree brand caster sugar is available at SurLaTable.com in 1-pound bags. For those who use caster sugar in large quantities, Amazon.com carries the India Tree brand in 3-pound jars. Pour regular granulated sugar into a food processor fitted with a metal blade. Use more granulated sugar than you will need for your recipe because some of it will be pulverized to dust in the food processor. Cover the food processor lid with a kitchen towel. This keeps the dust down while the food processor is running. 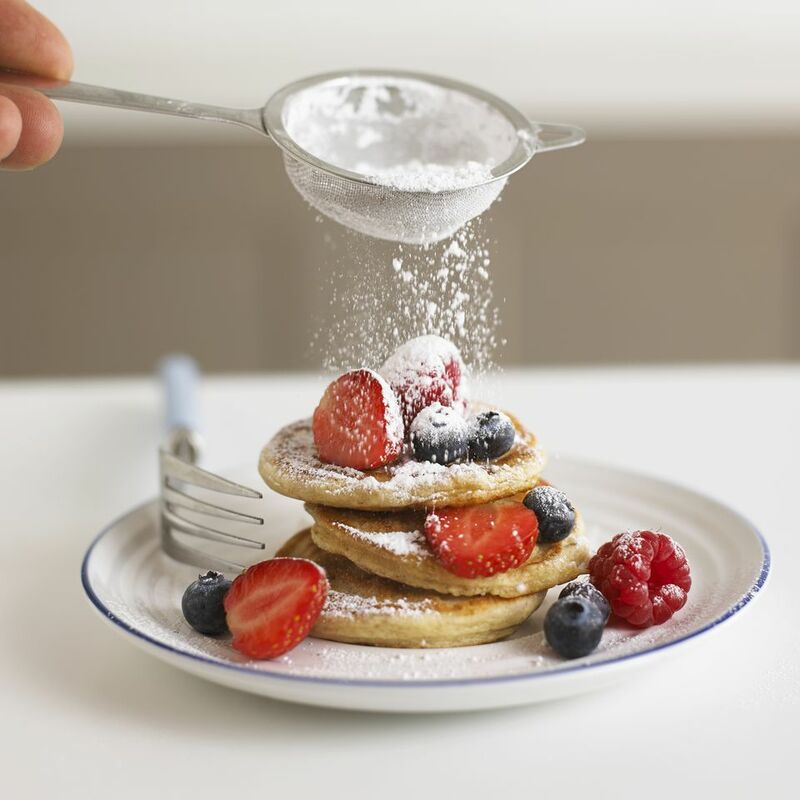 Making superfine sugar produces sugar dust that quickly spreads to surrounded areas unless it is confined to the food processor. Turn on the food processor at high speed and wait for it to process the sugar for 1 to 2 minutes. If you are processing a large amount of sugar, it may take longer. Process the sugar until it is very fine grain. Do not process it too long or you will have powdered sugar. Wait a minute for the dust to settle and then remove the processor lid. Store the superfine sugar in an airtight container. There is a risk that the granulated sugar will etch plastic blender or food processor bowls, so be aware of that. Caster sugar is the best sugar to use for sorbets and is delicious sprinkled over fresh fruit. In those recipes you can easily substitute it for granulated sugar. If a baked recipe such as traditional Scottish shortbread calls for caster sugar, it is best to use caster sugar as baking is quite a science and a different size of granule can make a difference in the final product.